The Morrill Homestead is a rich resource for teaching about history, education, architecture, horticulture and historic family farming traditions. Schools can choose between planning a visit to the Justin Morrill State Historic Site or taking advantage of the in-school programs about the life and times of Justin Smith Morrill. 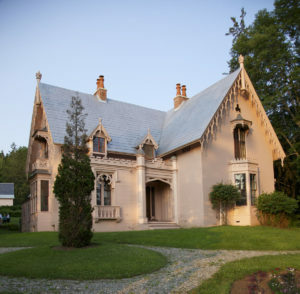 Take a trip back to the mid-1800s with a tour of Strafford’s famous pink house. Experience the original art, architecture and history of the 17-room Gothic Revival mansion built for Senator Justin Morrill in 1851. Hear the story of how a self-educated son of Strafford rose to represent Vermont in the U.S. Congress in Washington, D.C. 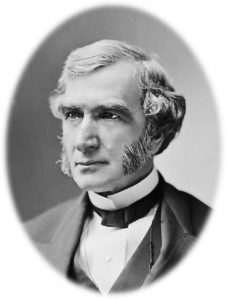 Explore the life and accomplishments of Vermont Senator Justin Smith Morrill. Exhibit explores how Morrill grew from his roots in Vermont to become one of the most accomplished legislators in American history. Photos, panels and artifacts also explore life on Morrill’s small family farm during the 19th century. Who is Justin Smith Morrill, and what did he accomplish? During the past century and a half, it is estimated that some 400 million students have graduated from the Land Grant Colleges and Universities that were created by the act of Congress written by Congressman Justin Morrill and signed by Abraham Lincoln in 1862. How many of today’s young students will attend a Land Grant College? Morrill also wrote the act creating National Statuary Hall, engaged the work of the classical artist Constantino Brumidi, whose paintings adorn the dome of the U.S. Capitol, and hired the famed landscape design architect, Frederick Law Olmsted, to landscape the grounds of the Capitol. But don’t take our word for it! Schedule a school visit from Justin Morrill, himself to kick off a study unit on Strafford’s famous statesman and rural life in Vermont during the late 1800s! Continue your exploration of Justin Morrill and his times by using the resources, activities and games found in the complete educational enrichment kit: Senator Justin Morrill’s Trunk (available to schools at no charge).